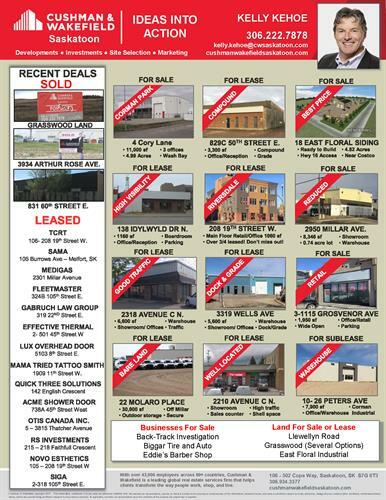 Cushman & Wakefield Saskatoon is a locally owned and operated Commercial Real Estate firm located in beautiful Saskatoon Saskatchewan. 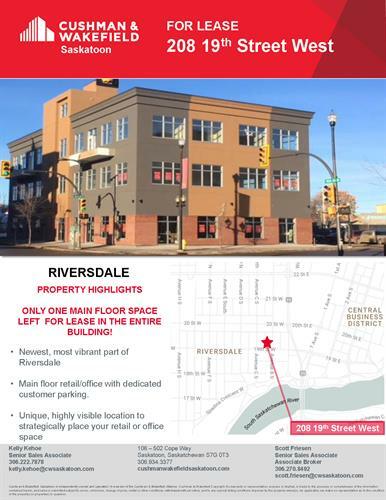 The Cushman & Wakefield team has over 30 years of experience in Saskatoon’s unique and vibrant commercial real estate market. 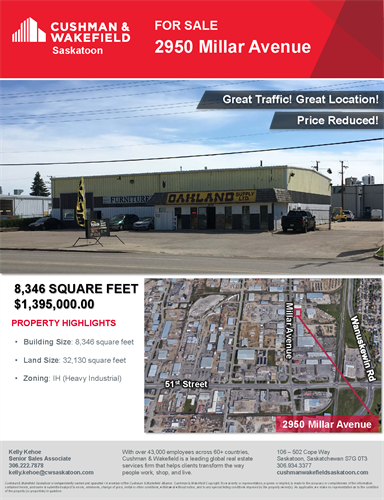 With expert commercial leasing and sales associates specializing in land, retail, industrial, office, investment, and business properties, our team is equipped to give our clients unparalleled local market intelligence and world-class service. 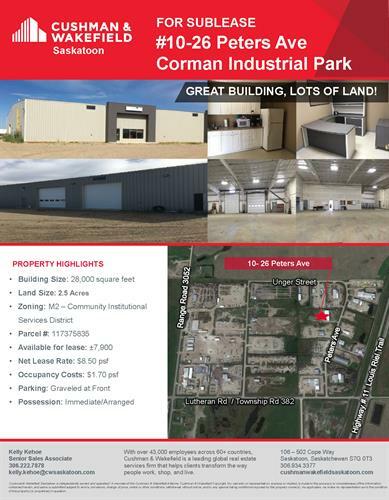 Whether you are seeking the right commercial property for your business, purchasing an investment property, or selling a property, Cushman & Wakefield Saskatoon has the skills, experience and friendly staff to assist you in all your commercial real estate needs.